How Can Annuities Help You Receive Guaranteed Lifetime Income? 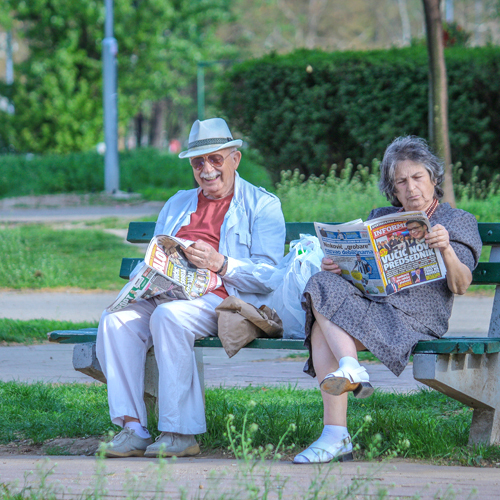 Is your retirement life seeming tough without a guaranteed source of income? Annuities are there to make it easy! Basically, these are the insurance products helping the insured with a series of payments throughout the retirement. With a range of annuity insurance plans available in the market, it can be very tricky to choose a beneficial annuity smartly and we are helping with the necessary information you should have before buying such an insurance. If you are reaching retirement or have already retired, you can utilize these tips to understand various aspects of annuity insurance and choose an insurance plan as per your specific requirements. To ensure that your stream of income is approved without any hassle, we advise you to go with the top-rated insurers in your area. Such insurance providers are known for taking extra care of their customers’ comfort and help with the insurance plans beneficial for them. Get to know the various annuities insurance plans offered by the top-rated insurers in your locality. Understand the various benefits as well as the limitations to decide what type of annuity insurance plan may be suitable for you. Next big thing is getting quotes from your top-rated insurers. You can physically reach the insurance representatives in your locality or fill an online form on their websites and their experts will reach you shortly. These experts will listen to your requirements patiently, explain the benefits clearly and will suggest the plan best suits your situation. Depending on the provider, the benefits in the plans can vary widely and hence, you are suggested to get multiple quotes from various insurers. Compare the benefits received in various plans and go for the one that meets your needs exactly. Whatever amount you might have planned to invest in annuities, we advise you not to invest all the money at once. If you are planning to invest $200,000 in your annuities, you shouldn’t invest the whole amount same time. You can choose to invest $65,000 in the first year, $65,000 in the second year and $70,000 in the third year. There are two major reasons to choose this pattern of investment. Firstly, the interest rates may not be the same year and if you choose to invest in installments, there are chances that you may not receive the lowest rate of interest for the whole amount. The Second reason is this pattern of investment may help you better estimate how much money you need for your retirement and save you from investing more than it’s needed. Now, this is the new trend in annuities. New investors are taking interest in distributing their investment amount between more than one insurance providers. For example, if they have to invest $100,000, they prefer to invest $50,000 with one insurance provider and $50,000 with another. Different companies behave differently in the market and hence when you distribute your annuity between two providers, you’re much likely to receive a different amount of income from both providers and your entire annuity stake isn’t decided by the performance of a single provider. However, the annuities are tax-deferred savings and the Govt. doesn’t put any bar on how much you can save, there are state guaranty associations to do the same. There are state guaranty associations in each state that decide how much money you can put into your annuities. Usually, this limit ranges from $100,000 to $500,000 and you are advised to check the same for your state. If you have distributed your annuity between more than one insurer, please ensure the amount invested with each insurer falls within the set limit. Copyright © 2018, OptSoft, Inc. All Rights Reserved.